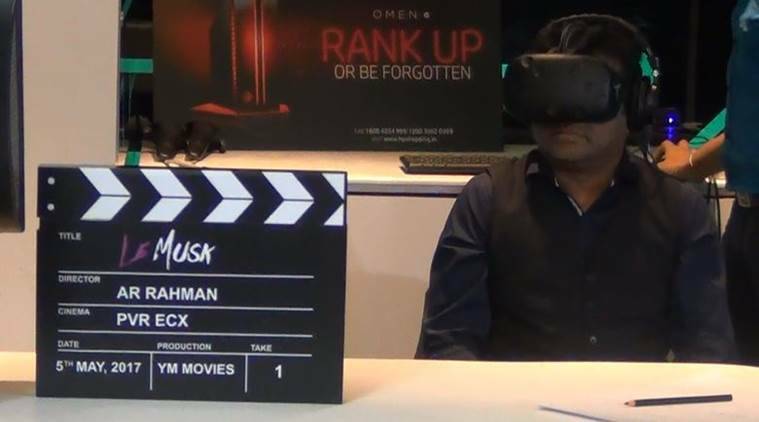 Oscar-winning composer AR Rahman, who has proved his mastery in the field of music is now going to prove his talent in the field of direction through the world’s first virtual reality film called ‘La Musk’. AR Rahman presented a glimpse of ‘La Musk’ in Noida National Capital Region and he said “No one is doing anything about the virtual reality film. This is the perfect opportunity for directing. The whole team supported me and encouraged me. “. This world’s first virtual reality movie has been shot in Rome and its script is also written by Rahman and his wife Saira Rahman. Rahman told that the virtual reality movie makes you feel the real world of the film and you feel a lot to feel that you are present in the same world.